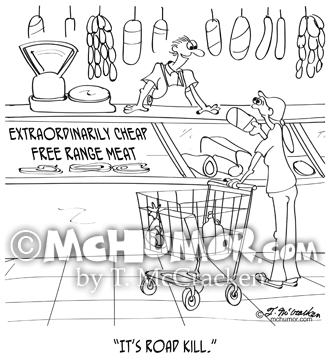 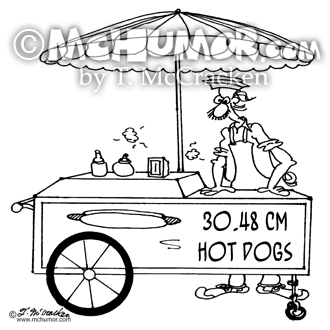 Ranching Cartoon 7320: A butcher saying to a woman, "I assure you the animals didn't suffer. 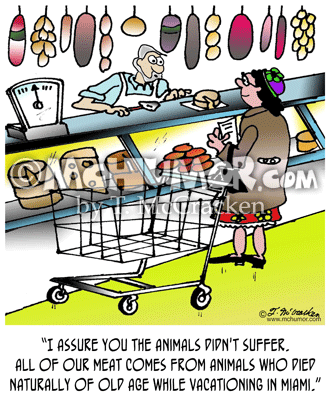 All of our meat comes from animals who died naturally of old age while vacationing in Miami." 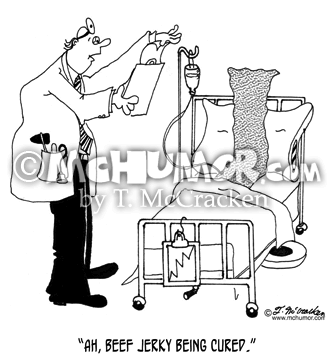 Hospital Cartoon 5871: Of a piece of meat in a hospital bed a doctor looking at a chart says, “Ah, beef jerky being cured." 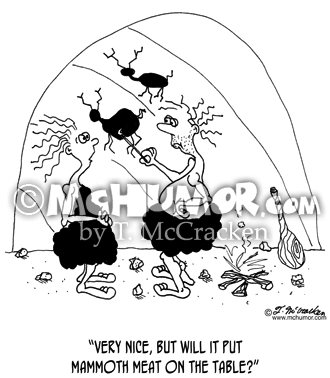 Art Cartoon 5013: Cavewoman to caveman re: painting on wall, "Very nice, but will it put mammoth meat on the table?" 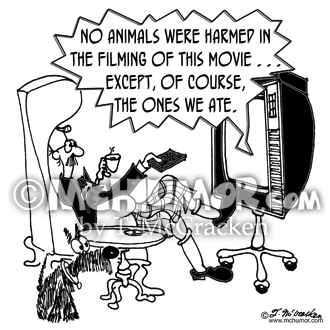 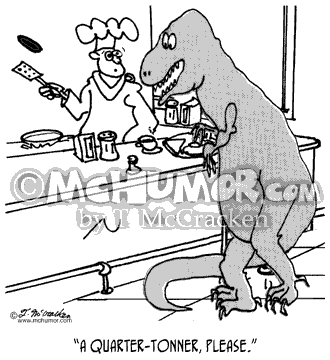 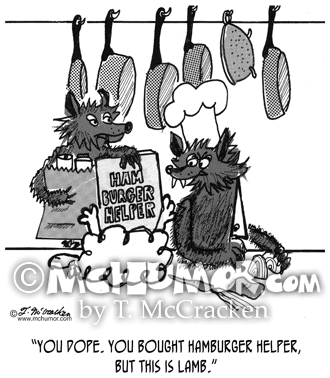 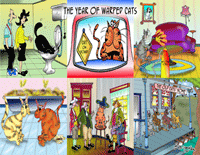 McMac Cartoon 7808: TV says, "No animals were harmed in the filming of this movie . 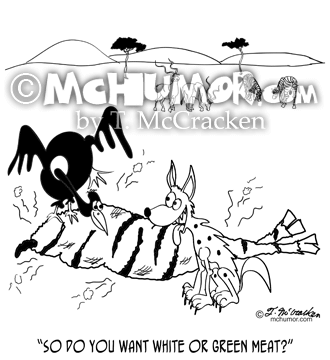 . . except, of course, the ones we ate." 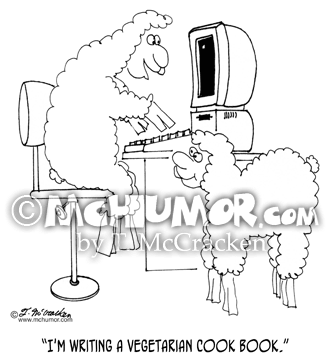 Sheep Cartoon 5614: A sheep at typewriter says to another, "I'm writing a vegetarian cook book."